petition: Reinstate Comments for ‘Our Curious Georgia’ YouTube channel! Reinstate Comments for ‘Our Curious Georgia’ YouTube channel! Some time ago, there were some issues with YouTube channels falling victim to predatory comments and viewer comments that were explicitly offensive. The majority of these predatory comments were made on YouTube channels that were family-based or contained content focused on children. In response to this situation, YouTube decided to MUTE or REMOVE the ability to make ANY comments on many videos and channels that contained content focused on young children. Unfortunately, there were many YouTube channels that were negatively impacted by this change; one of these channels was "Our Curious Georgia". "Our Curious Georgia" is a family-friendly program that shows the experiences of a family that is traveling the world and raising their children abroad; specifically focusing on their daughter Georgia. 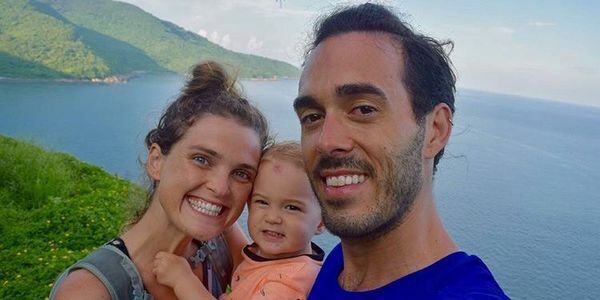 For over 1 year, "Our Curious Georgia" has grown in its subscribers and viewers and has attracted the attention of many people and families who are &apos;curious&apos; as to what it&apos;s like to travel the world with their children and live abroad. Many of the viewers engage in healthy conversations about their children, their travel experiences and make their inquiries within the YouTube comment section. Without the ability to make comments, this family-oriented community of viewers has been crippled. Engaging in interactive conversations and exchanging experiences has been the backbone of this community. PLEASE PETITION FOR THE REINSTATEMENT OF THE COMMENTS ON "Our Curious Georgia". A few &apos;bad apples&apos; should NOT cripple healthy contributors on YouTube; especially on this family-based channel that has a community of caring Followers who love engaging in positive discussions.